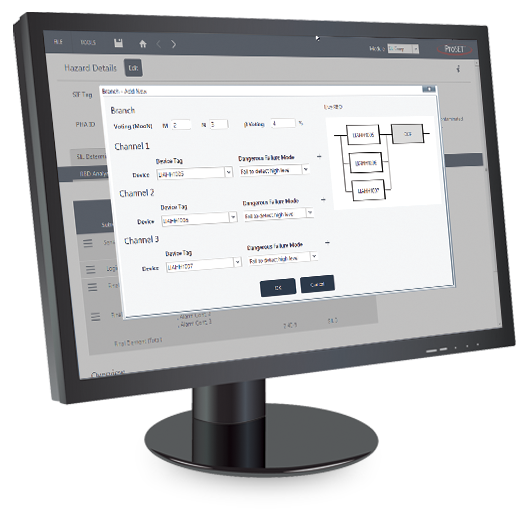 PHA Comp – The Process Hazard Analysis Compliance Tool is part of the ProSET® software suite for use in PHA studies such as Hazard and Operability studies (HAZOP studies). Engineering Safety Consultants (ESC) has applied its 100+ combined years of technical safety know-how to develop the ProSET® family of tools. 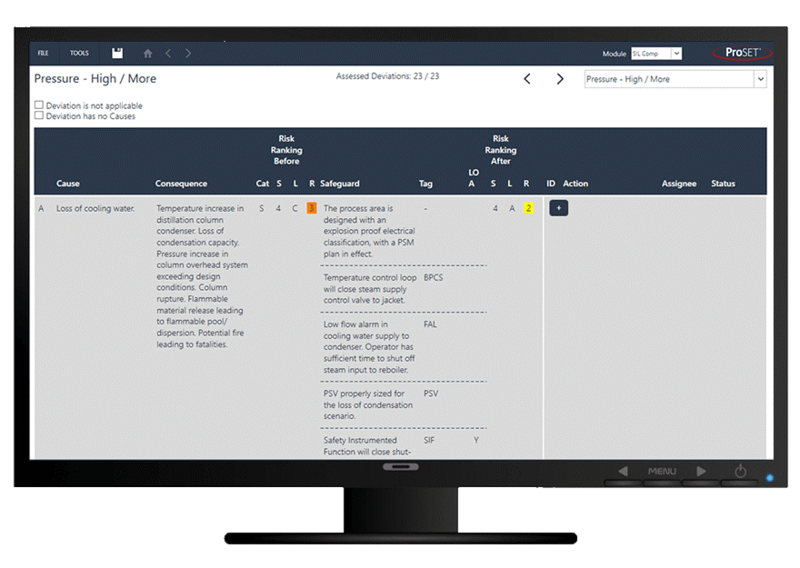 Conducting hazard and risk assessments is a requirement of Phase 1 of the IEC 61508 and IEC 61511 Functional Safety Lifecycle. PHA Comp covers all major PHA methods such as HAZOP, Hazard Identification (HAZID) and Control Hazard and Operability (CHAZOP).